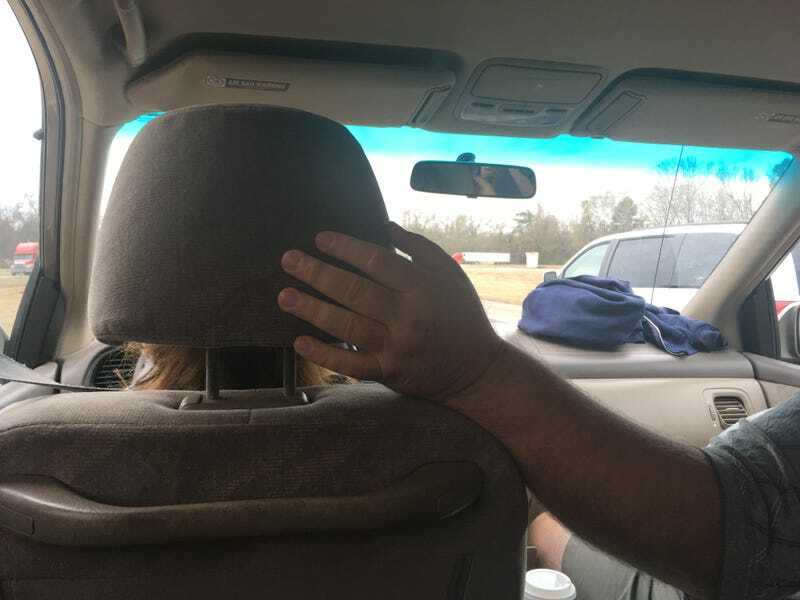 Heading home to Austin from Nola, but my customary seat at the con is being filled by my wife, and my brother in law, a pretty big guy, is in the right seat. I spent last night puking my guts out. Not sure if it was something I ate or something more sinister. Age has a way of making one expect the worst. Middle row of the Oddy isn’t too terrible, but I miss my view out the front, I’m bored shitless, and I have a bit more respect for my kids who always sit back here. It’s been many, many years since I sat in the back for a 9-hour road trip.